This special designed model, one size, is made out of downflow semi-vegatable leather. 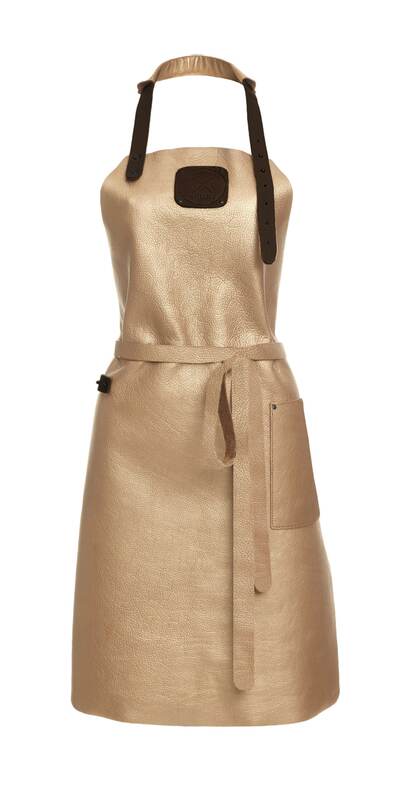 The flexibility of the leather makes the apron not only comfortable to wear but also fit properly. The apron will shape itself around the womens body and fits perfectly around the chest and hips.